Meeting potential customers is, of course, one of the great things about exhibiting at the County and local Shows, however, it is what we learn from those discussions that keeps us up to speed with the ever changing security requirements of the rural community. From the stories we are told, I am rarely surprised by the issues affecting the rural community – from fly-tipping to the theft of a whole flock of sheep – the problems are wide-ranging and varied. We are realists and understand that sometimes there really isn’t a reasonable or practical solution, but where there is, metcalfeallen are here and willing to work with you. If you have any security issues that could be solved using CCTV, Intruder Alarms or Access Control please contact us today for practical and impartial advice from your number one local independent security company. 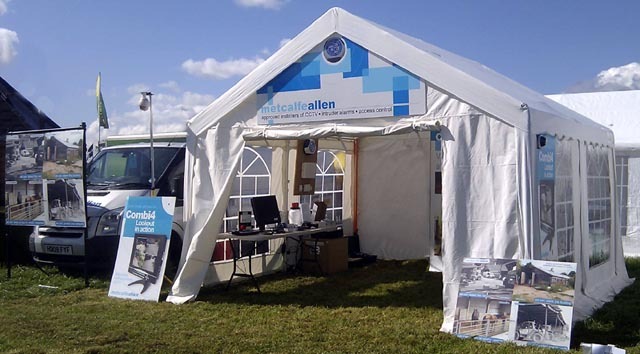 Please telephone 01884 38222 or go to our on-line form or simply click web@metcalfeallen.com and email us your details.